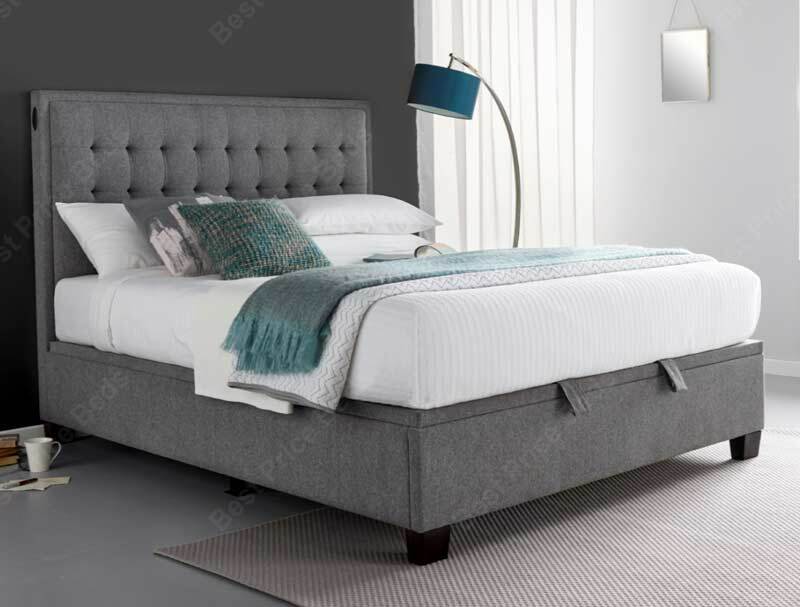 The Cheviot from Kaydian is new for 2018 and offers a stylish power assisted automatic end opening ottoman bed frame that offers spacious storage as well as concealed feet for the image of a floating base. The Cheviot main benefacts are that it opens itself without the aid of lifting the base up and closes itself by a button placed by the headboard , it also bemefits from a ventilated platform base so items inside will stay fresh and a cdhildlock safety mechanism. The Cheviot is only available in Double and King size and is supplied in a smoke colour. 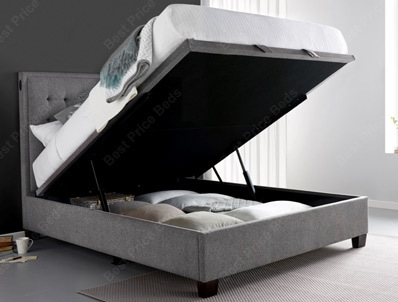 If the frame is in stock it will be delivered to you direct from Kaydian using a 2 man delivery to the room of your choice, not a 1 man delivery to your door as shown.